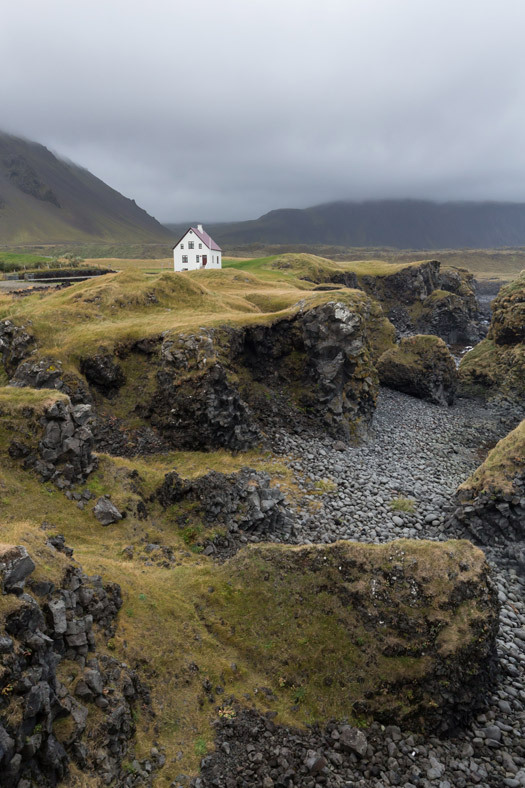 The Snaefellsnes Peninsula juts off the western part of Iceland and is known for its remoteness and harsh weather. 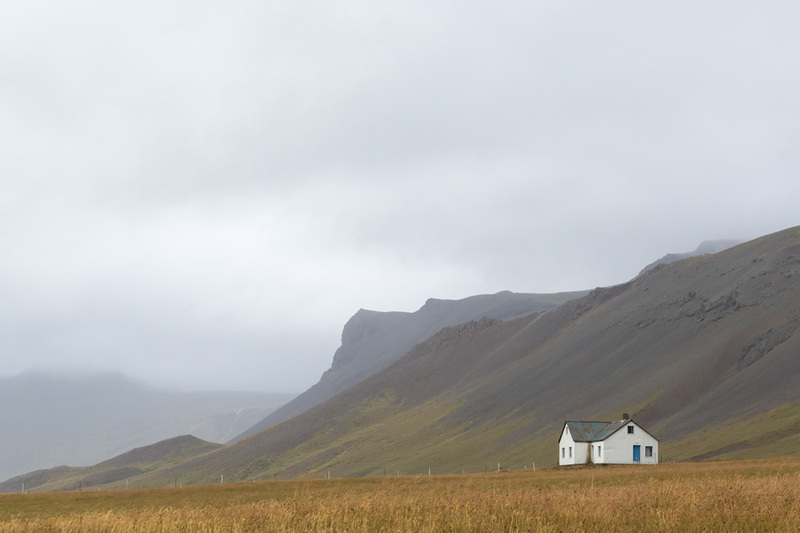 This lone house sits along Road 54 on the southern part of the peninsula, near Langaholt. 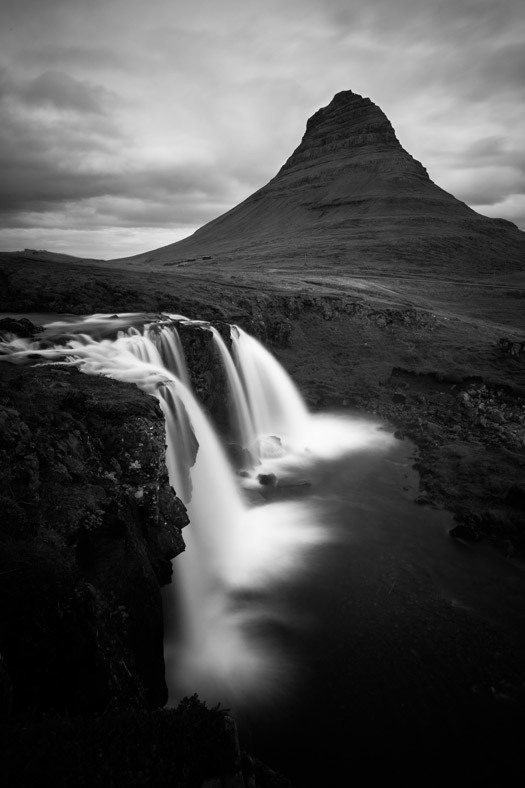 Kirkjufell Mountain, also known as "Witch Hat Mountain," is the most photographed mountain in Iceland. In the foreground is Kirkjufellfoss Waterfall. Its cliffside is lined with photographers' tripods for most hours of the day. I hadn't seen many black and white + long exposure + vertical shots of the mountain in my research before the trip, so I decided to shoot this version. Arnarstapi is a tiny fishing village near the end of the peninsula. This red-roofed white house sits atop rocky cliffs and overlooks the Atlantic Ocean. 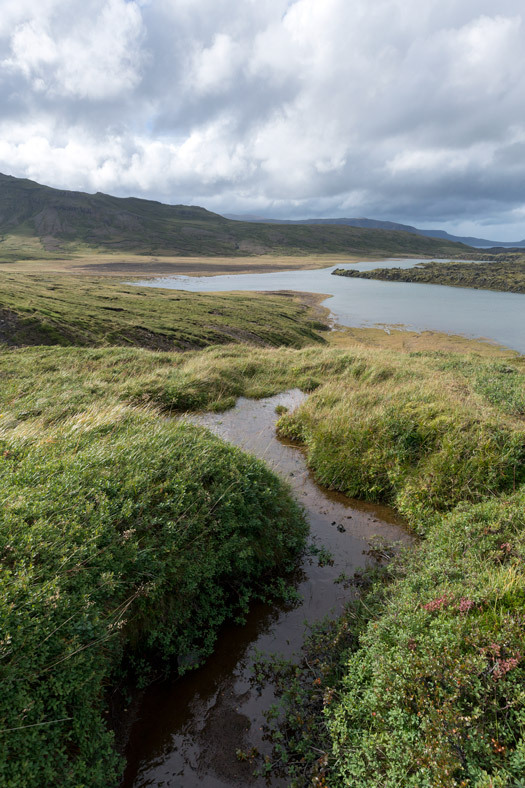 Centuries ago, Icelandic men were only allowed to work on a fishing boat if they could lift a "halfdraettingur" (i.e., weakling) stone weighing 108 pounds. Road 56 connects the northern and southern sides of the peninsula, cutting through the rugged mountains. Many people take it en route to Stykkisholmur, the largest town on Snaefellsnes.